An excellent opportunity to maintain your organisation or firm’s visibility in the eyes of your potential clients is through corporate sponsorship, and our printed awards, trophies and other promotional products. They're gifts that show pride in your workforce. Perfect as an incentive to commemorate the loyalty of your employees, they would also make an appealing prize to school tournaments and championships. 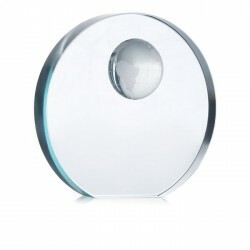 Pay tribute to any achievement with a customised award. Imprint your message of commendation on an exquisite crystal or glass trophy to deserving champions who battled fair and square to prove themselves worthy of the victory. After all, medals, certificates, and awards are just like giveaways as they are also the means to an end. Encourage a little healthy competition among your salesforce with a beautiful custom reward. Perfect as morale-booster, branded trophies, plaques, and certificates will put a twinkle in the eyes of the contestants. You could help to recognise the impressive achievements of your community by presenting them with a personalised award from your company or business. 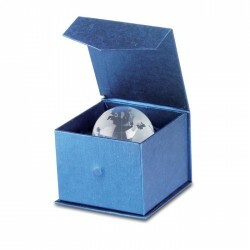 Acknowledge and celebrate the handy work of talented students with a personalised crystal award or with an endearing keepsake, like a metal 3D puzzle or a glass paperweight ball and win over new customers along the way. Our fantastic range of awards and trophies deserve recognition by itself. Regardless of the type of charity event or sports match that you have, you can be sure to find the ideal memento to your liking. Great as a way to build your brand exposure with spectators and onlookers of the contest or competition you sponsored, you can also order custom awards and trophies and hand them out to your loyal employees as a token of appreciation for their service. Check out the rest of our line of prizes as well as our branded outdoor & leisure products to aid you in your marketing strategy. Our primary goal is never to let a customer down in meeting their needs and our 4.8/5 score on Feefo perfectly sums up our hard work and persistent efforts. We understand how busy you are and that is why our helpful customer support is always on standby to assist you in customising your giveaways. For every transaction, we make sure each customer is happy and satisfied with the product they chose its pricing and delivery schedule. We are always available to assist you with whatever you need, either by phone, email or live chat. Our dedicated team of experts have more than 20 years of experience in the Trade Shows Gifts industry and will ensure that will you receive the promotional items you need. We pride ourselves on the only website where you can create your custom prizes, office supplies, tech accessories, branded tablet cases, and more all in a convenient one-stop shop. 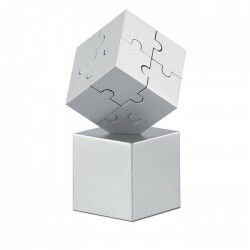 We have thousands of products categorically organised ready for you to add your corporate branding anytime. Start browsing our website now and see the possibilities we have to offer.